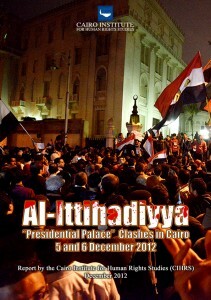 On 5and 6 December, bloody clashes took place in the vicinity of the Ittihadiyya Presidential Palace in Cairo, Egypt. 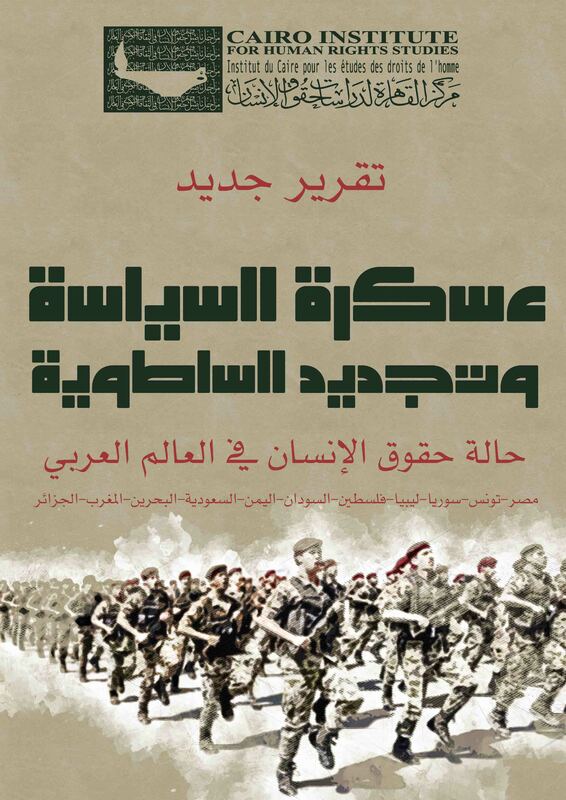 These events came to be known as the “Ittihadiyya clashes” that resulted in the death of at least 11 people, in hundreds of injuries in addition to other violations documented by the Cairo Institute for Human Rights Studies (CIHRS). It is becoming more likely for the “Ittihadiyya”-like clashes to repeat themselves in other parts of Egypt in the near future, albeit under a different name, indicating the intensification of the country’s deep political crisis. With the constant delay of a meaningful political dialogue and after a series of failed promises, it is likely that “survival of the fittest” will become the motto followed by political actors in Egypt when tackling unresolved issues and political disputes. This threatens to throw the country into further rupture and conflict, which may threaten the integrity of what is left of its political institutions. 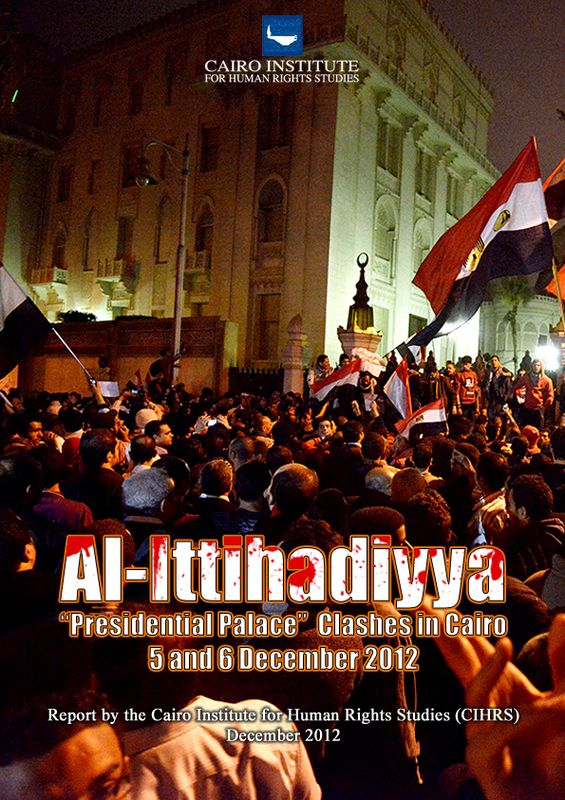 Within this context, CIHRS released a report titled “Al-Ittihadiyya Clashes,” on the morning of 26 December documenting the events leading up to the clashes, beginning with the declaration of a sit-in on 4 December 2012, and ending with the decision to impose a ban on protests in the persemisses of the Ittihadiyya palace on 6 December. The 33-page report reviews in several sections how the events unfolded. 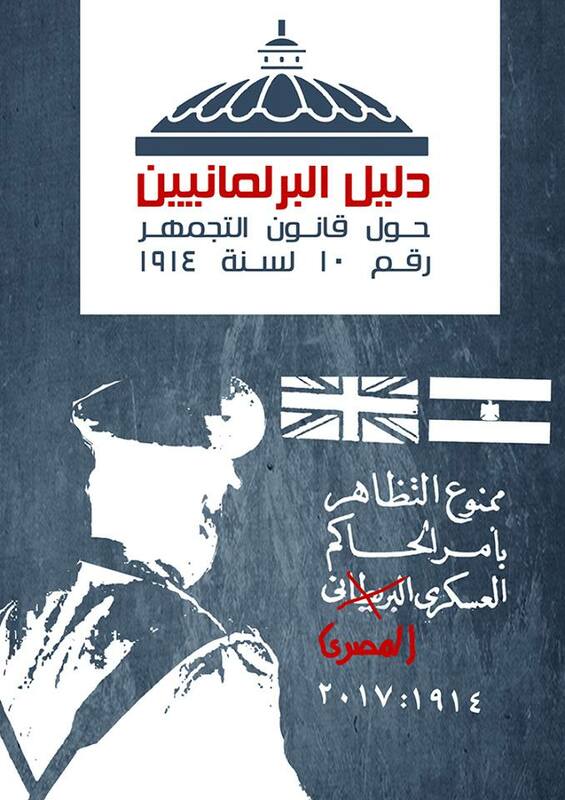 It presents testimonies and reports on the number of demonstrators killed from both sides. The report also documents the inflammatory speeches delivered as the events were unfolding, the attacks on media personnel covering the clashes, and the cases of abduction and torture of protestors. The report relies on testimonies and recorded interviews with several eyewitnesses and participants in the events, both supporters and opponents of the President’s decisions. It presents visual documentation including photographs and live footage showing the development and escalation of the clashes. The report further relies on public statements, medical reports, as well as interviews with the wounded and doctors present at the scene to document the number of those killed as a result of the clashes in addition to identifying the nature and cause of the injuries sustained from both sides. CIHRS makes several recommendations in the concluding section, some directed to the Egyptian government and others to the ruling party as well as various political parties. The recommendations focus on the importance of transparency and access to information pertaining to the incident, whether information related to the causes and development of the clashes, information about the detainees held under official detention following the clashes, or information related to the course of the investigation. CIHRS calls upon the office of the presidency to guarantee its impartiality and the independence of judiciary, which ought to be protected from any potential pressure that may be exercised to interfere in its work, including attacks by any party to the clashes.